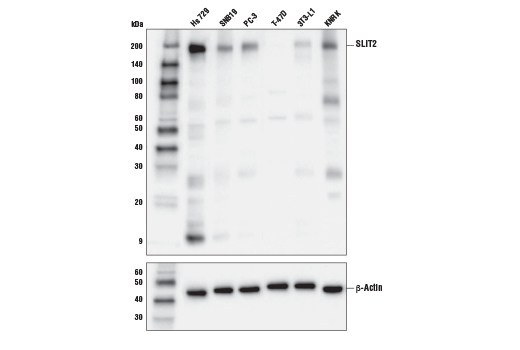 Background: SLIT2 is an extracellular matrix-associated SLIT family member that functions as a ligand for roundabout (ROBO) family receptors (1). Activation of ROBO receptors by SLIT2 regulates various biological processes, including promoting cellular senescence via WNT inhibition (2), suppressing migration by enhanced β-catenin/E-cadherin association, regulating actin polymerization (4, 5), and suppressing cell proliferation induced by SDF1 and MCP1 (6, 7). In development, the SLIT-ROBO pathways play important roles in neuronal axon guidance, angiogenesis, and both kidney and mammary gland organogenesis. SLIT2 expression has been reported to suppress cancer cell growth, invasion, and metastasis, suggesting that modulation of SLIT2-ROBO signaling may have therapeutic potential in cancer biology (8, 9). 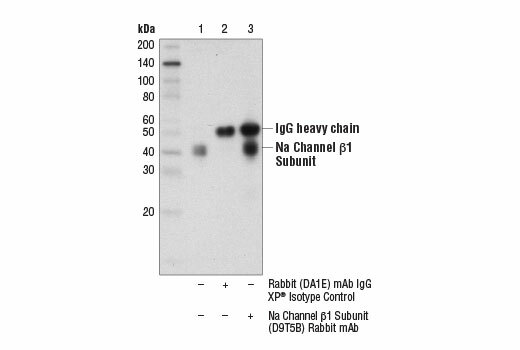 Background: Mammalian voltage-gated sodium channels (VGSCs) are composed of a pore-forming α subunit and one or more regulatory β subunits (1). Four separate genes (SCN1B-SCN4B) encode the five mammalian β subunits β1, β1B, β2, β3, and β4. 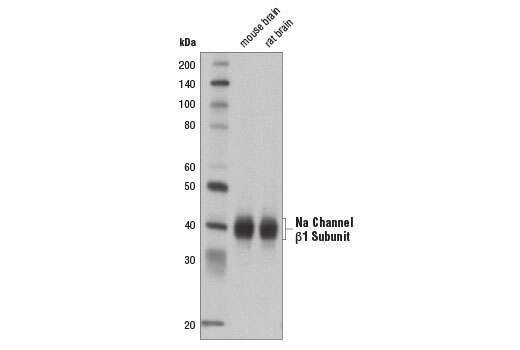 In general, β subunit proteins are type I transmembrane proteins, with the exception of secreted β1B protein (reviewed in 2). β subunits regulate α subunit gating and kinetics, which controls cell excitability (3,4). 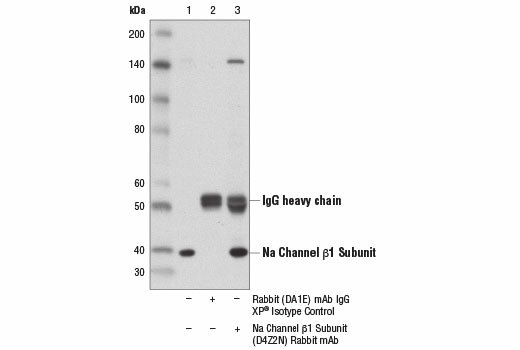 Sodium channel β subunits also function as Ig superfamily cell adhesion molecules that regulate cell adhesion and migration (5,6). 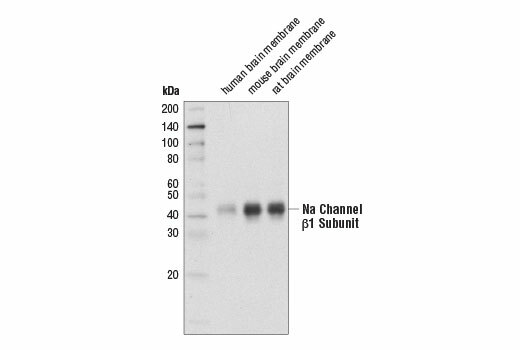 Additional research reveals sequential processing of β subunit proteins by β-secretase (BACE1) and γ secretase, resulting in ectodomain shedding of β subunit and generation of an intracellular carboxy-terminal fragment (CTF). Generation of the CTF is thought to play a role in cell adhesion and migration (7,8). Multiple studies demonstrate a link between β subunit gene mutations and a number of disorders, including epilepsy, cardiac arrhythmia, multiple sclerosis, neuropsychiatric disorders, neuropathy, inflammatory pain, and cancer (9-13). Background: The Eph receptors are the largest known family of receptor tyrosine kinases (RTKs). They can be divided into two groups based on sequence similarity and on their preference for a subset of ligands. While EphA receptors bind to a glycosylphosphatidylinositol-anchored ephrin A ligand, EphB receptors bind to ephrin B proteins that have a transmembrane and cytoplasmic domain (1,2). Research studies have shown that Eph receptors and ligands may be involved in many diseases including cancer (3). Both ephrin A and B ligands have dual functions. As RTK ligands, ephrins stimulate the kinase activity of Eph receptors and activate signaling pathways in receptor-expressing cells. The ephrin extracellular domain is sufficient for this function as long as it is clustered (4). 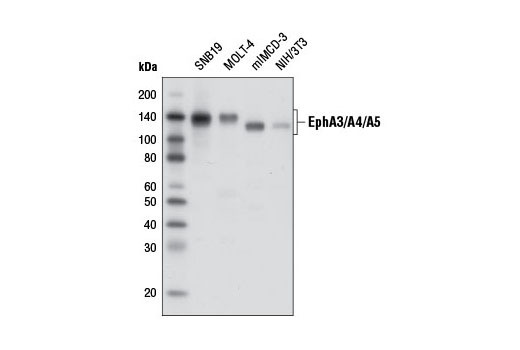 The second function of ephrins has been described as "reverse signaling", whereby the cytoplasmic domain becomes tyrosine phosphorylated, allowing interactions with other proteins that may activate signaling pathways in the ligand-expressing cells (5).The EphA3 receptor preferentially binds ephrin-A5. This ligand-receptor interaction stimulates EphA3 signaling, regulates cell adhesion and migration, and induces cellular morphologic responses (6-8). EphA3 plays a critical role in callosal axon guidance (9), retinotectal mapping of neurons (10), as well as cardiac cell migration and differentiation (11). Investigators have shown that somatic mutations in functional domains of EphA3 are linked to lung cancer progression (12). In addition, EphA3 expression levels have been correlated with tumor angiogenesis and progression in gastric and colorectal carcinoma (13,14).